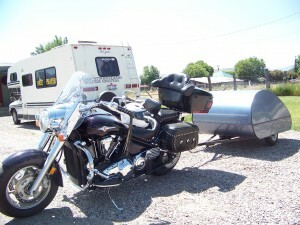 Beautiful set up in southeastern Idaho. 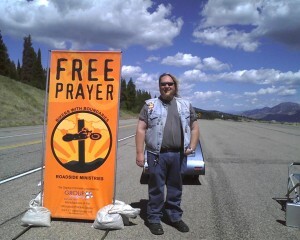 Wyoming is a great place to pray with foreign tourists on their way to Yellowstone. 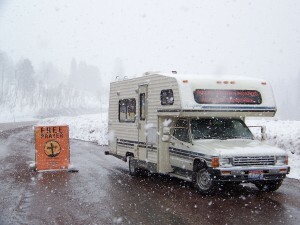 Emil set up in a truck pull-out near Afton, Wyoming. 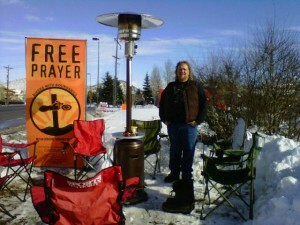 Free Prayer follows the mailman’s creed–rain, sleet, bright sunshine, we will be there every time! 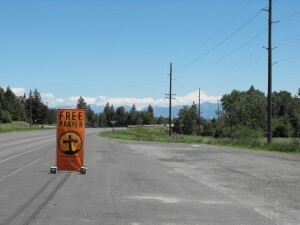 Our banners come in different sizes. 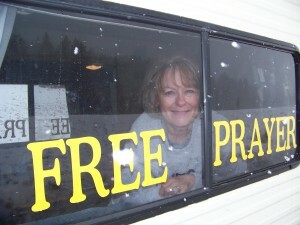 Karen keeps warm during Idaho snow between divine prayer appointments! 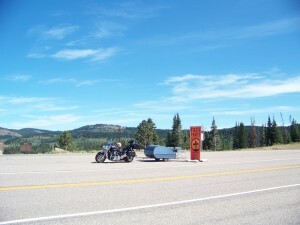 Emigration Pass in Idaho doesn’t even look real! 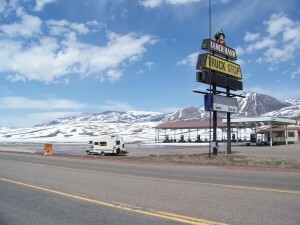 We heard a wild animal growling and snorting around us for awhile. 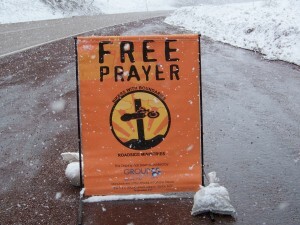 We prayed and it left! 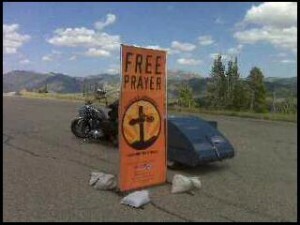 No motorcycle on this trip but Free Prayer still happens! 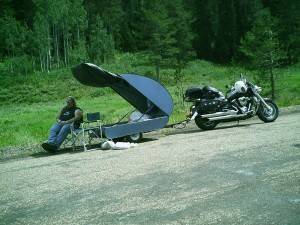 Idaho roadside vehicles, depending upon the weather! 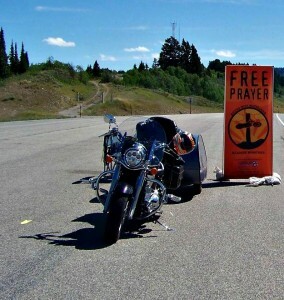 People come for prayer in out-of-the-way places like Georgetown Summit, Idaho. 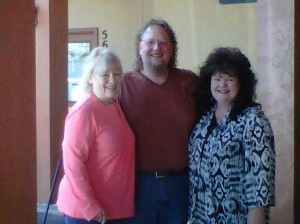 We were introduced to this woman at an Aglow conference when we lived in Idaho and discovered we had prayed for her 8 years earlier when she stopped for prayer in Queen Creek, Arizona! 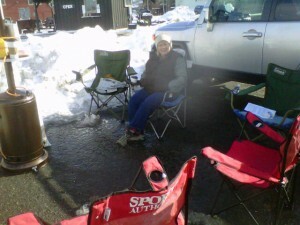 Karen’s bundled up in layers trying to keep warm as we wait for people to stop for Free Prayer at Sundance Film Festival. 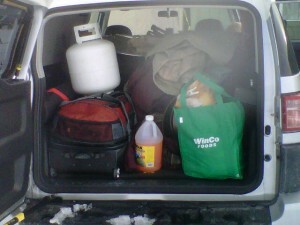 We are filled to capacity with everything we need to stay warm at the Sundance Film Festival. 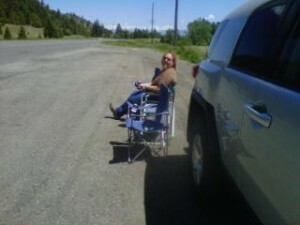 This was taken AFTER we removed the chairs and heater!